Boathouse. 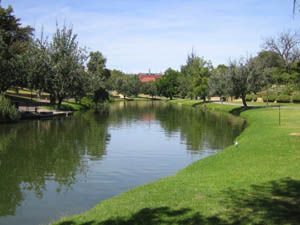 Set on the picturesque River Torrens, Jolleys is one of Adelaide's most well known icons. Jolleys has always offered a menu filled with interesting and unique dishes. This restaurant always utilises fresh, seasonal and local produce. Choose from appetisers such as peanut crusted sticky pork or green olive and basil toast. Entrees include baked oysters with mustard and gruyere cheese or try eggplant with haloumi cheese, pinenut, mint and fennel salad. Mains include scotch fillet, roast snapper, crispy duck or the vegetarian mushroom and spinach risotto. Tempting desserts on offer include dark chocolate and coconut pudding with cherry sorbet, and lemon curd parfait with apple jelly and poached quince. They also have a selection of wines, liquers and cognacs to compliment your meal. Jolleys Boathouse on the Torrens is a decadent way to spend a lunch or dinner. Bookings essential. Book ahead with their online booking service (24 hours prior notice is required) or book the usual way by telephone on 08 8223 2891.